The biggest Siege event yet, top-level LoL, and more. The ELEAGUE Major came to a thrilling conclusion on Sunday, with Astralis defeating Virtuous.pro 2-1 in a close best-of-three final. While the ELEAGUE Major may be over we still have plenty to watch this weekend. There’s action from the Overwatch: Oceanic Series to the League of Legends EU and NA Spring split. We even have some high-octane drama from the Rainbow Six Siege: Invitational. All the details on this weekend’s events can be found below. G2 has proven to the world that they’re still the best team in Europe, as they beat Misfits 2-1, while Fnatic’s mid-laner dominated on Ryze once again. Caps outmanoeuvred his opponents and rushed objective after objective, securing a victory over the Giants. The Giants and Roccat have been struggling so far, as the competition is so fierce, but both teams will be hoping to improve their scores in week three. The full schedule and stream can be found over on LoL Esports. Team SoloMid had a great second week, defeating the highly anticipated Dignitas line-up, while Cloud9 remained undefeated. Meanwhile, Team Envy is showing potential, as they managed to take a game off Immortals, but it wasn’t enough to take the series. Echo Fox even managed to bounce back from their shaky start to the split. However, Counter Logic Gaming is still having a rough time, but they did show a few glimpses of their former glory against Flyquest, despite losing both games. The full schedule and stream can be found over on LoL Esports. Australasia's largest Overwatch event is kicking off this weekend, as 24 teams from across Australia and Southeast Asia will compete for the title of the Overwatch Summer Series Champion. The qualifying teams will be split across three double elimination groups, while the top two from each group will advance to the finals. Matches will be broadcasted live from the brand new Full Circle Studio in Auckland, New Zealand where the series will be hosted by New Zealand’s own Kevin "AVRL" Walker and Matt "Pixie" Carroll. The qualifiers start today at 17:00 PST / 02:00 CET and continue the same time tomorrow. The event can be watched over on Twitch. Week three of this year’s HGC is heating up as we continue to get closer to the Western Clash at IEM Katowice. Last week we witnessed a few upsets in North America, trends in Europe, and some game winning plays from Medivh's Ley Line Seal. Team 8 are currently at the top of leaderboard in North America, while Team expert remain undefeated in Europe. Both NA and EU schedules can be found here, while the stream can be viewed by heading over to Twitch. The CS:GO ELEAGUE Major may have come to a thrilling end last Sunday, but don’t worry we have another explosive weekend to look forward to. 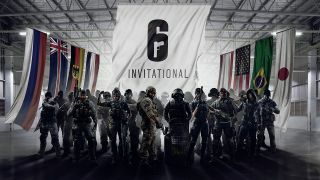 The Rainbow Six Invitational promises to deliver fans with all the high-octane action they crave, as we make our way over to the Usine C venue in Montreal, Quebec where the world’s best teams will battle it out for their share of the $200,000 prize pool. The PC quarter finals start today at 07:15 PST / 16:15 CET and carry on throughout the day, while the semifinals begin at the same time tomorrow. The full schedule to the weekend’s events can be found here, while the stream can be watched over on Twitch.